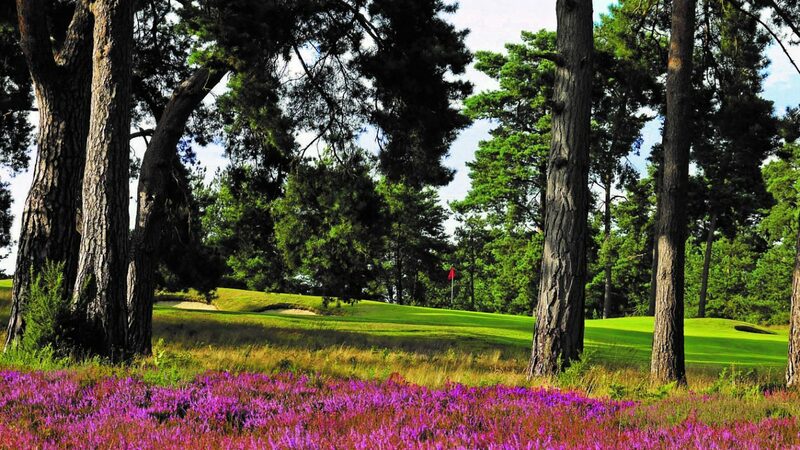 Lying between the North and south Downs in the heart of the picturesque Hampshire countryside, Blackmoor Golf Club is a gem of a heathland course designed by the celebrated Harry Colt in 1913. Acting as a regional qualifier for the Open Championship between 1998 and 2003, and is an England Golf Championship venue. The club is the home to the Selborne Salver, one of Britain’s most prestigious amateur events, and is regularly voted one of the top 100 courses in England. Laid out in two loops, the 18 holes comprise five par 3’s which all bear the stamp of Colt with elevated greens well guarded by bunkers, and two par 5’s making up a par 69. The surroundings alone are worth a visit with the course lined by heather, gorse, silver birch, oak and fir trees. Tranquillity is also guaranteed with no road, rail or aircraft noise acting as a distraction, and yet is in easy reach of London and the Home Counties via the A3. just £39 per person in the winter season, and £65 per person in the summer period. All include 18 holes of golf together with a number of different food options, our golf co-ordinator will be happy to discuss your requirements. call ahead to find the best times to visit.